Boy’s Trachten Shirt Leo in Green. 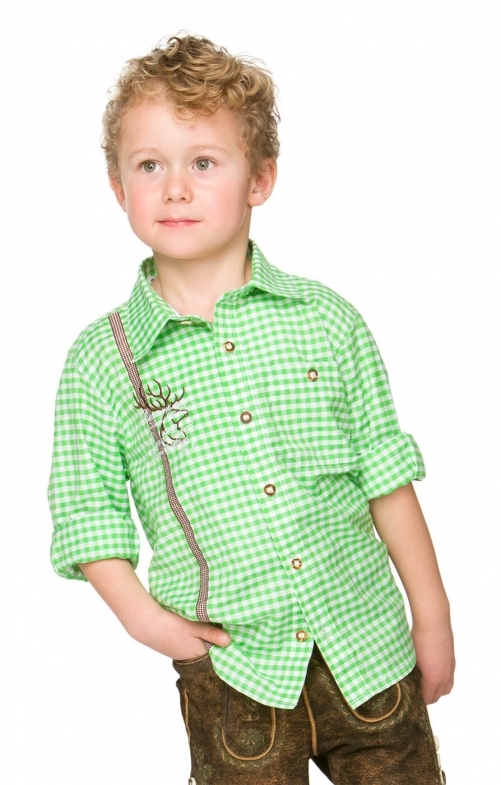 This traditional shirt features an attractive green and white chequered pattern that boys will love . The shirt is made from a cool and durable blend of 55% cotton and 45% polyester and features long sleeves that can be rolled up to create a whole new look. The Stockerpoint stag head logo has been embroidered on the right breast of the shirt over a cool brown chequered horizontal line, while a useful pocket buttons up on the left breast with a single button that matches the row of buttons that run down the front of the shirt.